A life is now in focus, thanks to you! 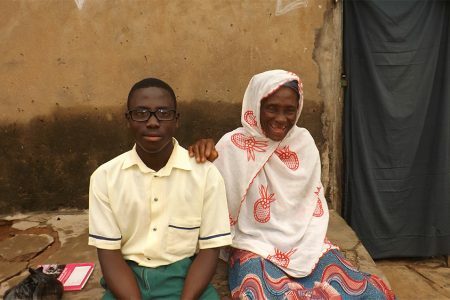 Evans is 17 years old and lives with his grandmother in a small fishing community in Ghana. His grandmother works hard on her farm, earning just enough to take care of their little family. Sadly, Evans couldn’t help out at home or on the farm because he struggled with his vision. He’s a seventh-grade student, but he could barely read or write. Three years ago, he was identified as having severe visual impairment when a vision screening camp was held in his village. But Evans never did receive treatment because his grandmother couldn’t afford the cost. Evans could barely see at all. And because of it, he had to depend on his grandmother for help doing most daily tasks. Evans sitting with his grandmother. She’s so proud of her grandson, and grateful that he received the help he needed. Evans’ seventh-grade teacher (left) is happy that Evans (right) can see clearly again. Now that Evans can see to read, he’s busy catching up on his studies. Thanks to Operation Eyesight’s donors, he now has hope for a brighter future! Fortunately, Evans’ school was part of a vision screening program being conducted by an ophthalmic nurse from Saltpond Government Hospital, one of Operation Eyesight’s partner hospitals. After screening Evans, the nurse diagnosed him with retinitis pigmentosa and referred him to the hospital for treatment. “I wasn’t afraid to get treated. I just wanted to see clearly, so I was eager to go to the hospital,” said Evans. And that’s when everything changed! Evans’ teacher accompanied him to the hospital. There, he was thoroughly examined and prescribed prescription eyeglasses. Thanks to the generosity of people like you, Evans received a new pair of custom-fitted eyeglasses free of charge! After two years of not being able to read or write, a pair of prescription eyeglasses has changed Evans’ life. There are many other teens like Evans who need your help. 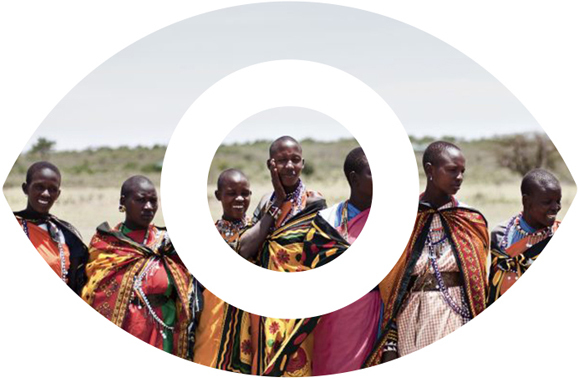 Please donate to our prescription eyeglasses program today and give the gift of life in focus – For All The World To See!